Hi everyone! Our VHF repeater has now been moved to its permanent location at Dover. It’s a better location as there are almost no obstructions in the areas surrounding the repeater. The repeater was placed at Mr Jeff’s office, in the Bukit Batok Industrial area. 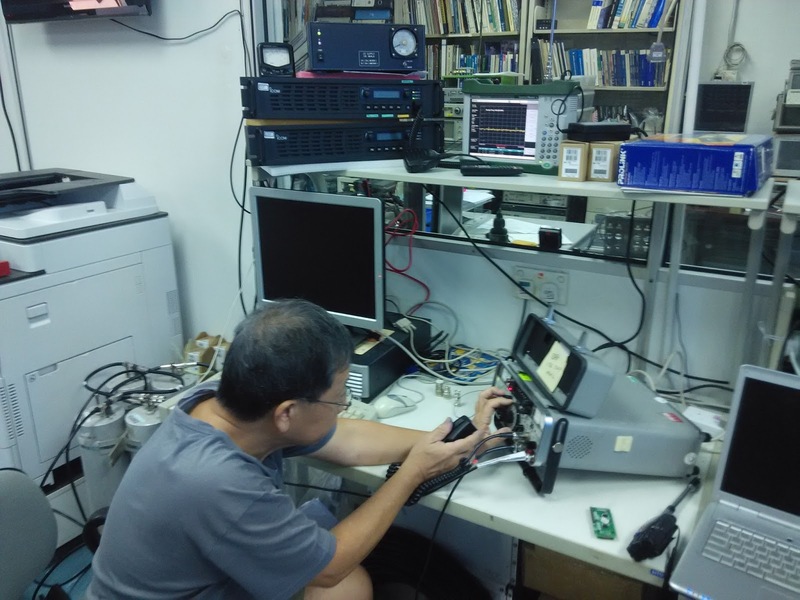 The repeater was not sensitive to weak signals, and it was hard to make contacts on the repeater, so Mr Jeff went back to the office on Christmas 2014 to tune the duplexer, and try to solve the issue. The issue was due to site noise around the location, and the antenna was blocked by the building. There was a measured 14dB of antenna noise in the area. As a result, not much could have been done. One day, Mr Jaya, 9V1AI decided that he would want to take the repeater back and install it at his place in Dover (We intended to install it there anyway). Since the repeater was now in a new location, Mr Jeff sent out emails to the members of the SARTS, asking them to test the repeater from different locations. Quite a number of members, including myself, helped out with the testing of the repeater from different locations, and I have done a presentation of the VHF repeater testing in May this year. Here are the slides that was used in the presentation: Here! Please do leave comments about your testing experience, and help us test the repeater out!